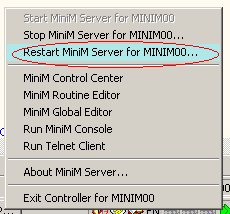 How to Create MiniM Database. 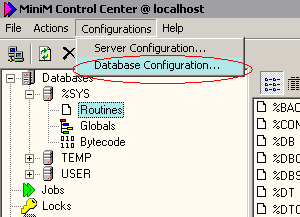 One of the first tasks of MiniM administrator is initial database creation and configuration. This article describes step-by-step how to create one more MiniM database and how to specify database options. Data files can grows by size automatically as need. In most cases this option is recommended. Database must be used on server start an be accessible. In most cases this option is recommended. This database is for read only and all globals changes are refined. Data file for this database must be recreated into empty state on server start. This option mostly used for temporary databases, where dta are unneed after server stop. Enable journaling of global changes. This option must be used if transaction rollbacks are needed or database must be restorable from backup with adding journal records. In most cases this option is recommended. On the picture is shown initial options state for ordinal application databases. This databases grows by size as need, ready to use on server start, store globals after server start and transactions canbe rolled back. Name of the database must contains from latin letters and digits and first symbol must be letter. Common database name length must be up to or less then 31 symbols only. 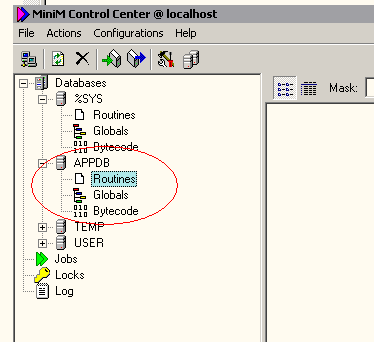 One MiniM instance must have databases with different names and database names are used case insensitive. If file name was specified without disk and directories, this file will be created in the /bin subdirectory of MiniM Database Server and still work, but this is not recommended. It is recommended to specify only full file names in the server's file system. 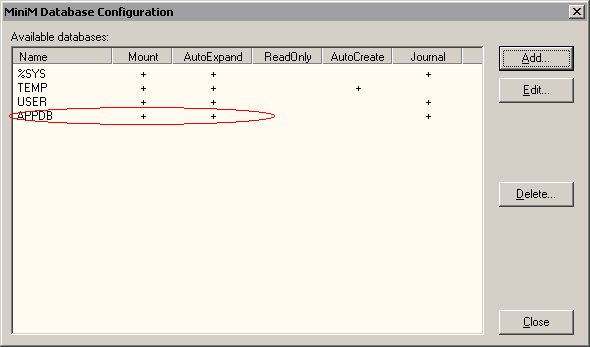 If size grows limit was not specified, this file will grows by need unlimited up to possible size limited by file system. 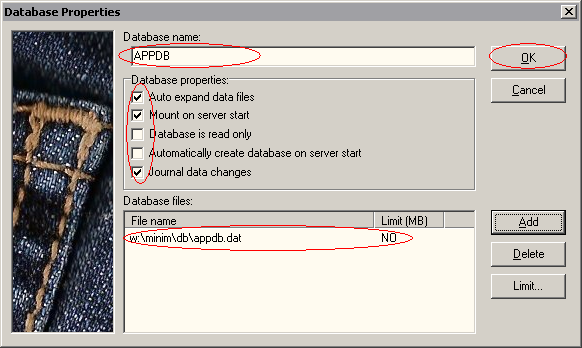 If administrator want to create database consisted of only one file, size limit can be unspecified. Otherwise administrator must specify file size limit for each data file except last extent. Size limit for last extent can be specified by administrator opinion. All files size limit except last extent are mandatory becouse MiniM will be automatically grows file size starting from the first data file and need to know when must allocate new space on the nest file specified. And, moreover, in the w:\minim\db\ subdirectory was created initial data file appdb.dat with initial size of 1 Mb by default. 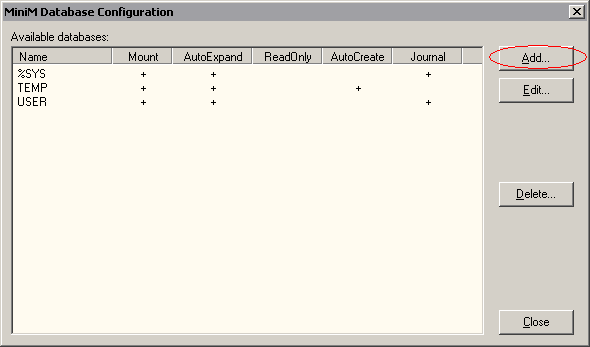 Administrator can add databases as need and specify data file's place where this need. 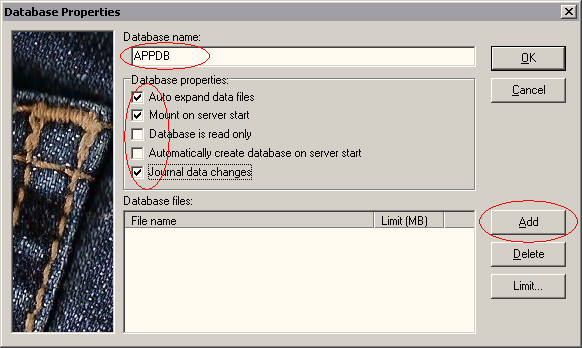 Moreover, administrator can change database options for available databases.